American Business Brokers acts as a liaison between Florida businesses that are for sale and the buyer of that business opportunity. As a certified business broker we will establish the Buyer's criteria to determine their financial, technical and business abilities. The Buyer's criteria are utilized to identify potential acquisition candidates from the existing database of Florida businesses for sale. When the various Florida business opportunity names are disclosed, you will be required to sign a standard" Confidentiality/Disclosure" form which, in most cases, is required by the Florida business for sale. American Business Brokers works with the Buyer in developing offers to give to people selling their business. After the Buyer has obtained sufficient information about the Florida business for sale the Buyer will then submit an asset purchase contract to American Business Brokers who will present this offer to the Seller. This happens only after the Buyer has made a complete inspection of the business and has decided this is the business they want to purchase. 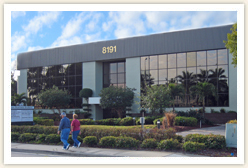 The asset purchase contract contains the details of the Florida business for sale, the price to be paid for the business, what assets are included in the purchase, the amount of training to be provided to the Buyer, and the time period and area to be covered by a non-compete, if there is to be financing by the seller and the details of the financing. It also gives the Buyer time to acquire and review the financial records of the Florida business for sale. American Business Brokers works as an intermediary in negotiating the asset purchase contract between the Buyer and Seller. We have Florida businesses for sale in many areas including Sanibel, Cape Coral, Fort Myers, Bonita Springs, Naples, Punta Gorda, Port Charlotte, Lee County, Collier County, Charlotte County, Sarasota and the Tampa Bay area. Let us be your Florida business broker and ABB will show you how to make the most of your Florida business opportunity. Contact us today to get many potential Florida businesses for sale offers. Buying or finding a Florida business for sale doesn’t have to be a cumbersome task. Let the certified business brokers at ABB help you make the best decision.